Manchester’s Deaf institute was unsurprisingly heaving with anticipation for the arrival of a certain Brighton four-piece. 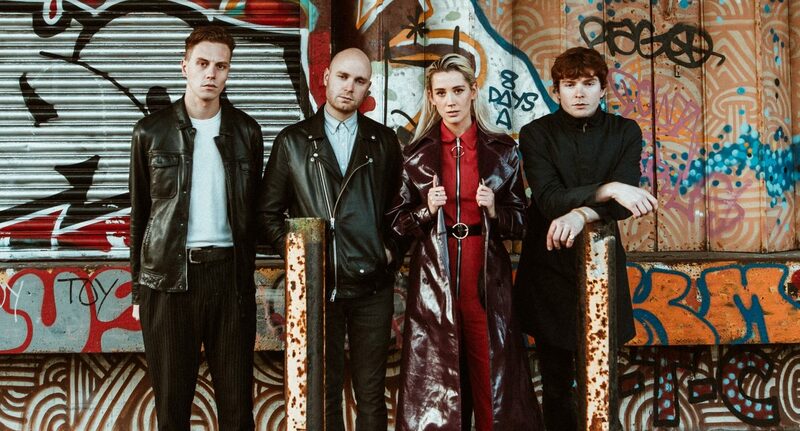 As YONAKA’s first headline appearance in Manchester, it was pretty remarkable to see that the show had sold out in such a short space of time way back in January. I had remained puzzled over the decision not to up the venue size. However, to be entirely fair the first supports didn’t garner a huge crowd initially. This was a huge shame as the lack of crowd was not equal to the talent on display. In fact, I found it incredibly hard to believe that the 70s glam-rock inspired Cassyette didn’t have a larger following. This unique and vibrant band had a vicious intensity that was picked up by the crowd as their set progressed. Their style was most certainly matched by their substance with glittering guitar solos and a bright and diverse vocal performance. It seems they are still in the process of putting their work out but I am certain that their dynamic performance will encourage more supporting gigs in the future. Of course, this performance meant they were a pretty tough act to follow but this did not discourage the stunning musicianship of Valeras who provided a number a brilliant performed songs (despite the addition of the dreaded cowbell) to their set. The quality of the support artists here reinforces the stellar opportunities to see great up and coming acts that are often so easily missed. Then with a sweep of bright lights and buzz of feedback, the main event finally began; YONAKA stormed the stage with a build up that was both dazzling and dizzying as Theresa Jarvis’ vocals rang out amongst the eagerly awaiting crowd. The night was framed by their strong variety of singles, with ‘Creature’ providing a real opportunity to explore a pop rock sound that seems to be seeping into a number of their newer tracks. A huge part of the show was dedicated to showcasing the new unreleased tracks that are set to feature on ‘Don’t Wait Till Tomorrow’. The title track is an incredibly powerful and guitar led, with Theresa describing it as her current favourite track from the album at the time. A personal highlight for me was ‘Own Worst Enemy’ which has one of best, spectacular build-ups to a drop I have heard from a band this year. Paired with often simple but nevertheless truthful lyricism, YONAKA’s tenacity as a band is more than clear in the work that they produce. The tracks provide a tangible excitement in the space that feed into a new generation of alternative rock inspired tracks. Although there is little space for the metal elements that I had initially encountered in their earlier work, their popularity is clear. Only time will tell as they forge ahead with the new album.